For hundreds of years people dug turf from the bog by hand, dried the sods and then burnt them as a fuel for cooking and warmth. In the short term hand turf cutting is wildlife friendly but over 400 years it has led to the removal of 46% of Irish bogs. Sausage turf cutting near Glencolmcille, Co. Donegal. 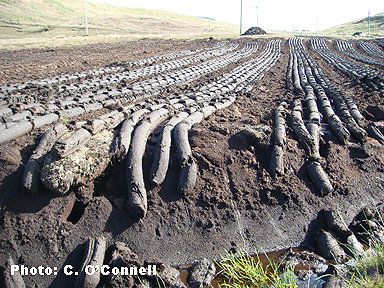 The process of excavating turf in this way destroys the living bog. Today machines tear the bog apart, removing the peat with little regard for the wildlife that depends on them. Peatlands are also being exploited as a source of land for forestry, dumps and agriculture. These combined uses have resulted in the destruction of 80% of our bogs. Forever. 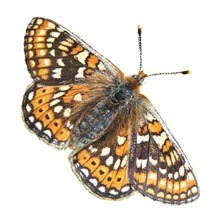 What does the IPCC Do to Help Save the Bogs and Their Wildlife? The save the bogs campaign is led by the IPCC. We are Ireland’s leading bog conservation organisation with an action plan to protect 20% of the bogs of Ireland. IPCC promotes the wise use of peatlands and lifestyles in harmony with this philosophy. We foster the educational use of peatlands and we empower community groups to protect bogs in their locality. IPCC cares for three peatland nature reserves in Ireland – places of natural beauty and cultural importance. IPCC works to make people aware of the wildlife, culture and heritage of our bogs and fens. IPCC provides a centre of excellence for peatlands at the Bog of Allen Nature Centre and an information bank on all aspects of peatlands conservation, education and research. six peatland conservation plans for Ireland have been published. Your support is urgently needed to help IPCC continue the Save the Bogs Campaign, which is even more critical in these times of austerity as we live through the aftermath of the unprecedented economic growth of the country and the pressure this is putting on our natural habitats and species. By joining IPCC as a Friend of the Bog you will be supporting our action campaign to Save the Bogs and their wildlife all over Ireland and especially where they are being damaged through turf cutting, drainage, fire, dumping and land reclamation. Built into our campaign are measures to help us adapt to climate change and to involve people in the enjoyment of their peatland heritage for the years to come. Our action plan – Peatlands 2020 – to save the remaining 20% of Ireland’s bogs involves strengthening the protection of designated sites, halting the loss of wildlife biodiversity, ensuring that planning activity favours bogs and promoting the restoration of bogs damaged in the past. IPCC wish to acknowledge and thank the following companies and trusts for supporting the Save the Bogs campaign. We look forward to welcoming you as a Friend of the Bog and enlisting your support in the fight to Save the Bogs. Our friends guarantee our independence and influence. Our subscription year runs from 1st of April each year. At whichever level you choose to get involved your participation is welcomed and valued. Enrol now as a Friend of the Bog in the Friend, Teacher, Family and Gift Categories. Corporate and Charitable Trust Supporters – please download our Corporate Information Pack (IPCC Peatland Partners Pack – € Version or IPCC Peatland Partners Pack £ Version). 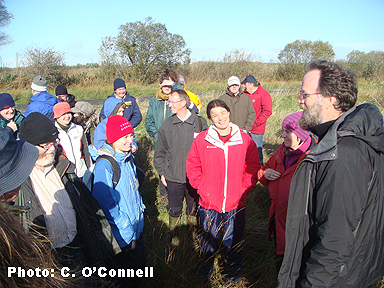 Text, Photographs and Images © Irish Peatland Conservation Council. The Irish Peatland Conservation Council can be contacted at the Bog of Allen Nature Centre, Lullymore, Rathangan, Co. Kildare. Email: bogs@ipcc.ie; Tel: +353-45-860133.